Feature "SANCHIN" exists in the component of Kata. SANCHIN doesn't exist in the component of Kata. The name of Kata originates in "Number that has a religious meaning". The name of Kata originates in "Living thing". KATA that existed in Nahate since old time. KATA that Kanryo Higaonna handed down to Chojun Miyagi. ※"SAN(3)" symbolizes the harmony of "Heaven", "Earth", and ""Human being". Unknown from whom Chojun Miyagi learnt.He did not talk about it. He had circumstances that were not able to be talked.KATA of "GO" and KATAf of "JU" are greatly different. This fact means Chojun Miyagi had two masters or more. It is presumed Choyu Motobu in the Okinawa Karate Research Club in 1920's. ※※Kanryo Higaonna did not have "SEPAI". It is appropriate that "SEPAI" is classified into "KATA of JU". ※※※The cricket is a ferocious insect. The traditional game bet on the victory or defeat of cricket's fight exists in a Chinese southern region. Supplementation GEKISAI1, 2, and TENSYO are the creations of MIYAGI. "13" is a lucky number in a Chinese southern region. "13,18,36,108" is the figure with a special meaning in the Buddhism and the Taoism. However, I want to refrain the deep explanation of it here. 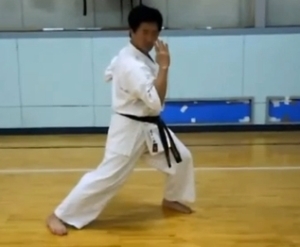 part2 Traditional, basic practice method of Goju-Ryu Karate. 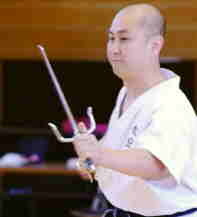 It is practiced to repeat the basis with Tenshin (movement)of Sanchindachi, Zenkutudachi, Nekoashidachi, and Shikodachi. These are basic practices indispensable to learn KATA. In the practice, pursue neither speed nor the frequency. Practice deliberately one by one, and confirm correct operation and a muscular usage, how to stand, and posture. The content is as follows. 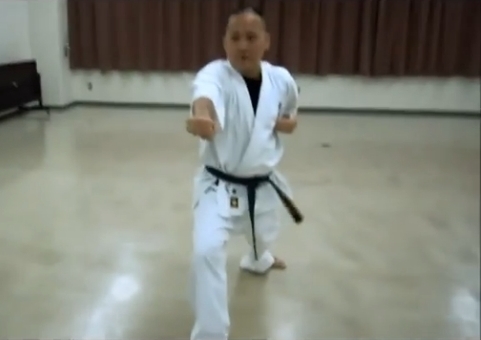 Video clip that edited some of basic practice of Yuzenkai a certain day at random. Yuzenkai values a traditional basis. Yuzenkai spends enough time in the practice for the basis. Tensyo is principle to Gojo-ryu as is Sanchin. The rotary motion that is the base of the Gojo-ryu combat technique is acquired through Tensyo. Thorough training in Sanchin and Tensyo is indispensable in learning true Gojo-ryu. This Kata was created by Chojun Miyagi but was strongly influenced by Okinawan traditional body movements and the “kakufa” kata. Traditionally, Kata Gekisai are only Syodan(1) and Nidan(2). 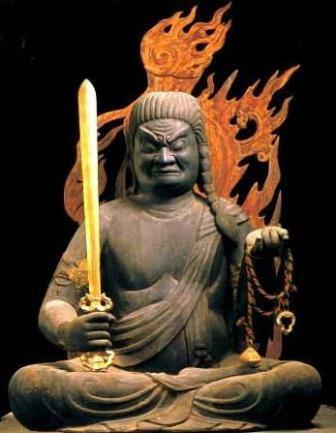 Recently, Gekisai Sandan(3) ~ Godan(5) tends to be created by each Shihans(sect). 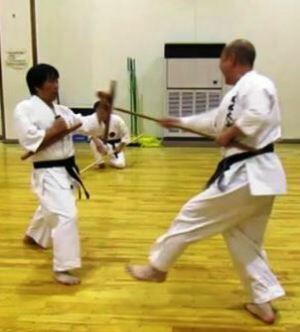 In Yuzenkai, Gekisai sandan, yodan and godan are kobudo kata(for sai, tonfa and kama). Those Katas had been taught in my family tree and I added a little improvement to them. Gekisai Syodan was created as a basic Goju-ryu kata by Chojun Miyagi before WWII. 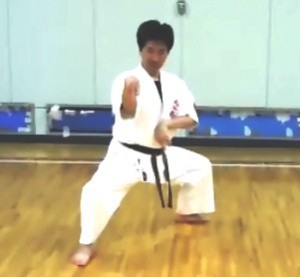 Although it is a basic kata, it is not an easy kata to learn. 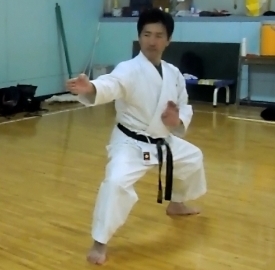 It contains elements of the more senior kata used in Gojo-ryu. 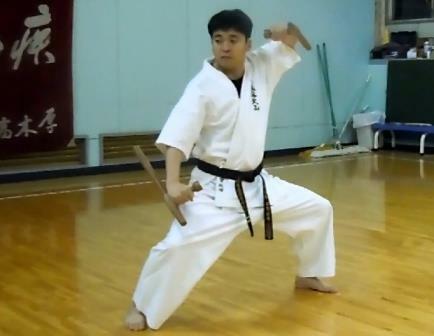 Enpi (elbow attack) lets the tip of the elbow cut into vital point "Chikon" of the enemy by using Seiken as Tateken.This kata has "byobugaeshi "as typical throwing technique of Gojuryu. 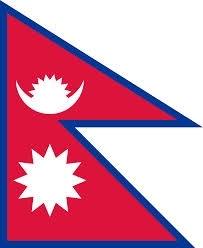 And it also has elements of Suparinpei. Gekisai nidan is the basic of "Ju(soft)". 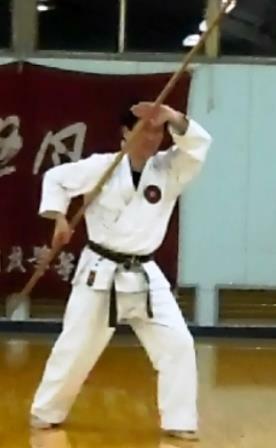 "Tora-nage"(tiger throwing technique) ,one of the throwing technique in Bubishi, is seen in the Kata.Recently, GEKISAI3,4,5 might be seen. They are new Kata that had been created by several Shihans in recent years. So, the contents of them are various. 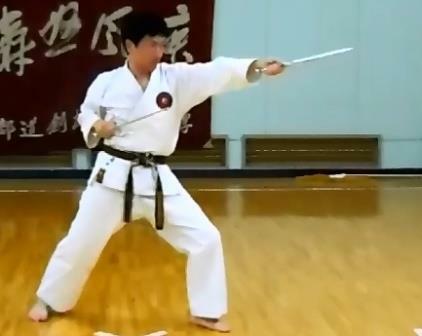 Of course, YUZENKAI doesn't acknowledge them.Yuzenkai Gojuryu that attempts uniting the bare-handed technique and weapon technique,enacts Gekisai3, 4, and 5 as basic KATA of those weapons. 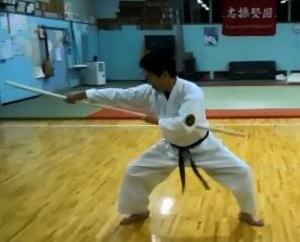 撃砕四段 In Yuzenkai, Gekisai yodan is the name used for Tonfa. It is the Kata by which I added a little improvement to the Kata for the basic practice that has been succeeded in our sect . Mas.Oyama(1923- 1994) united Gojuryu and Syotokanryu and created Kyokushin Karate. To learn to wisdom of Mas.Oyama, YUZENKAI has the section of Syotokanryu. YUZENKAI plans the Trinity of Gojuryu, Syotokanryu, and Ryukyu-Kobudo. KATA of basic YUZENKAI "HEIAN"
勇善会松濤館流基本型 The prototype of "HEIAN" is "CHANNAN". "CHANNAN(澹南)" is presumed to be a name of the general in China that temporarily defected to Okinawa to about middle of the 19th century. To suit the education of the physical education of the school, Anko Itosu (1831-1915)modified KATA learnt from "CHANNAN". Anko Itosu is the master of Gichin Funakoshin(1868-1957). The name was changed into "HEIAN" before long though Itosu called this KATA "CHANNAN" at first. 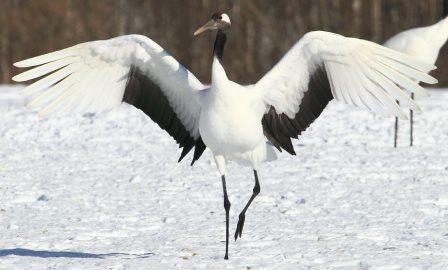 "HEIAN" is a meaning "Peace" in Japanese. It is presumed for "ANAN" "HEIKU" "PAIKU" of Ryuei-ryu to have been handed down from CHANNAN. There are a lot of uncertainties of the name of Kata. However, the name without all origins does not exist. Moreover, concealing might be more convenient. 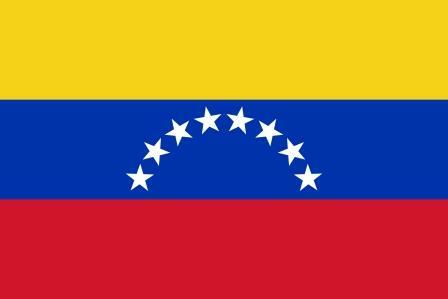 Any culture is related to the Race's history. The Kanji " 獅-法Saifa" means “Lions- combat method.” Of course, a lion does not live in Asia. 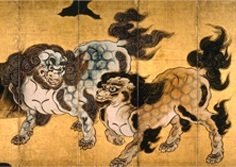 "獅子 (Sai/Shishi / Shin)" has been the imaginational animal that Asian people had invented from a image of lion. Saifa often be written "最破“(most destroying).But this Kanji is a phonetic equivalent as well as a lot of other KATA names. 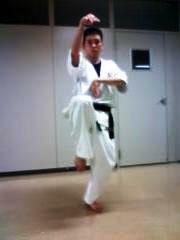 And this Kata contains a lot of Crane movements as well as other Gojuryu Kata". 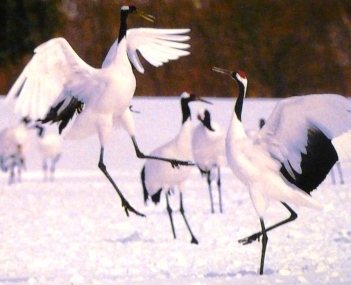 The character for Sei-en-chin (青-鷹-戦) means “blue- hawk fight.” (Blue means young) It can also be written as“征遠鎮：enemy far away is defeated. But this Kanji is a phonetic equivalent as well as a lot of other KATA names. 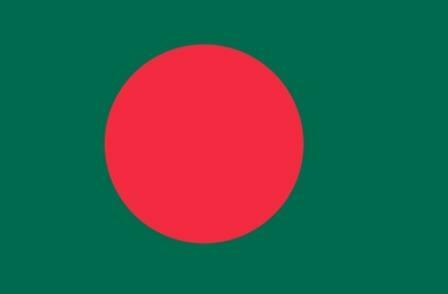 (This is the name made according to a belligerent tendency to Japan at that time.) 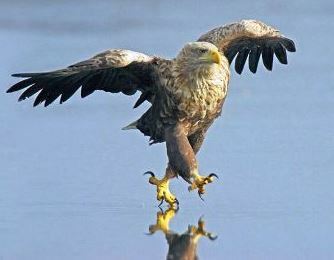 By the way, the martial arts Kata "Fist of golden hawk" exist in Taiwan. 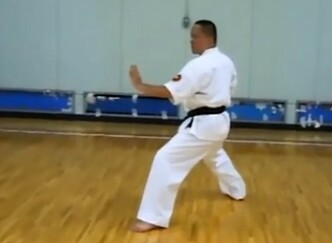 This kata incorporates a lot of operations exhibited by the hawk, and does not use the kick operation at all. The main feature of this kata is the handgrips. 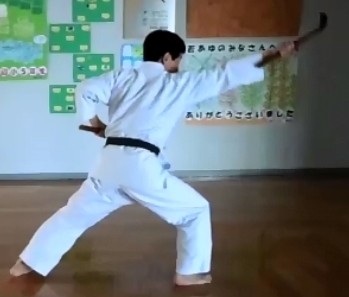 It moves in every direction quickly by using shikodachi and teaches how to hurl oneself and to throw-out oneself. 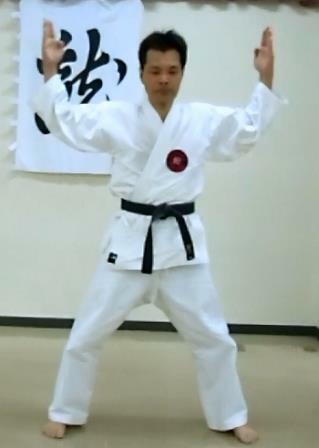 It is an important kata even though it is a basic kata. 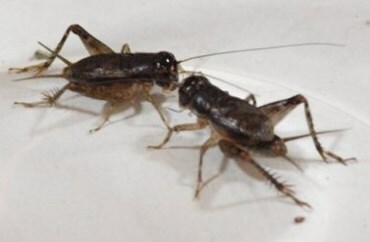 (士壮戦) The original meaning of Sisou-chin蟋蟀-戦 is "Cricket-fight". The original meaning of the十三 is " 13". It is often said that Sesan is composed of 13 techniques.But the word is not a simplely meaning "the 13 techniques". In the oriental philosophy, the "13" is a mystical number.For instance, the number of Buddha who represents the Buddhism is 13.This kata demands the strongest punch and kick. Offense and defense in a super-handgrip is also featured. It also has a lot of secrets too. 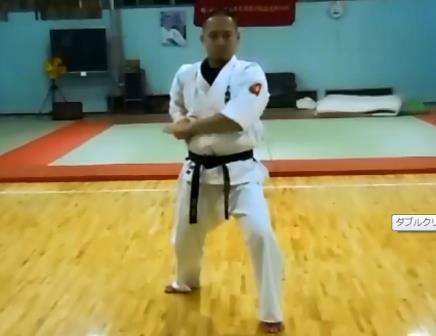 There are lots of different kata named Sesan in Okinawa and China. The original meaning of the 十八 is " 18". But the word is not simply meaning "18 techniques". By the way, the Buddhism is divided into two big sect .One is the sect awakes oneself by ZEN.Another is the sect relieved by grace of Amida-Buddha. To relieve people, latter Amida buddha had set up the oath of 48 pieces. The 18th oath is valued most. 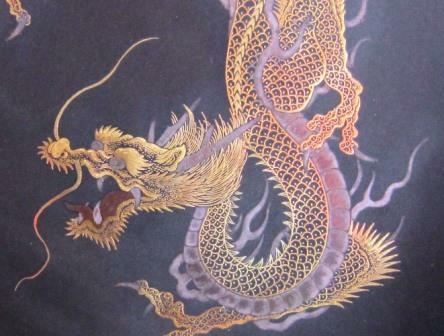 (来留破) The original meaning of 臥-龍-法"Kuru-run-fa" is “dragon fight method.” "臥-龍：Kuru-run" is the "Dragon taking a stance low " in translating literally. It is ,in a word, a dragon in the attack mode. Crawls and Barks of Dragon can be seen in this kata. 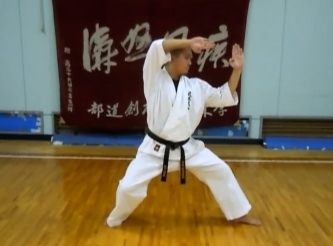 Joint technique and throwing more than Sepei are included in this kata. This Kata often is written the Kabji"来留破". This Kanji is a phonetic equivalent as well as other KATA . The original meaning of the 一百零八 is " 108". This number represents infinity. So,this Katais called the compilation kata of Goju-ryu. There are Shihan who taught that the alias of Suparenpei is Bettyurin, but this is no accurate. 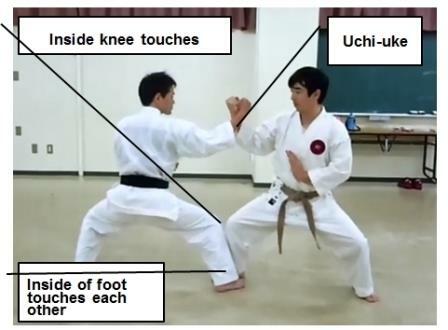 There are some similarities between the two kata, but there is many difference in the operations contained in the latter half. And especially, the point that methods of respiration of Sanchin are different. It as be testified that Bettyurin, Higaonna Kanryo taught Kyoda Juhatsu, is not the Suparinpei of today’s Goju-ryu. Miyagi Chojun incorporated a lot of changes to the creation of Suparinpei.By the way,108 is a multiple of 18 and 36. The Buddhism explains that human has the evil passion of 108, and eliminating them is a purpose of the life.And the "108" is also the name given to highest Kata of the each Syaolin Kunfu sect in China. (100) The original meaning of the 百-歩-連 is " 100 steps continuousness". "100" is an adjective meaning “many". 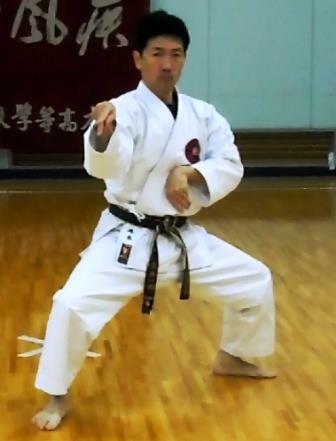 Kanryo Higaonna had taught the Kata ”Bettyurin" . It is doubtless that Chojun Miyagi modified a lot of parts of Bettyurin and made the Suparinpei. In addition, I cannot throw away a possibility that Miyagi learned Suparinpei from another master besides Kanryo Higaonna.These two katas have many difference too much. 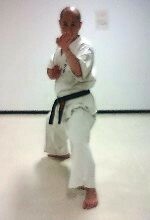 This Kata is called the secret Kata in the Higa-Gojo-ryu school.To our regret, diversity of this Kata is being generated now. Perhaps, it might be handed down as if the secret. 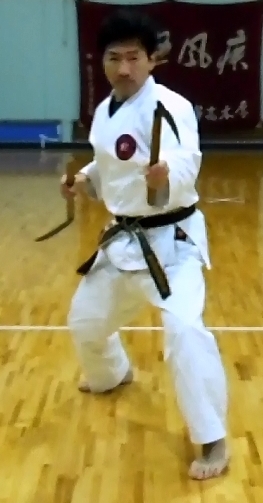 A similar one to this KATA exists also in Kingai-Ryu and Shito-Ryu. It can be assumed that they might have same root. 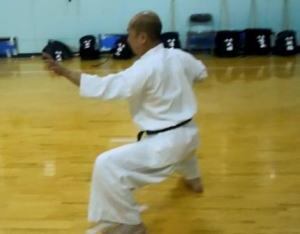 Ryuei-Ryu is said the "Nahate" as same as Goju-ryu. Both have the same founder "Ryu-ryuko". (However, the "Ryu-ryuko" legend of both is so different. And, I have been handed down by the pronunciation of "Tu-ryuko". )The name and the operation of KATA of both are the same or similar. YUZENKAI is researching the Nahate-Karate in the wide sense and feel a lot of mysteries of Ryuei-Ryu's Kata roots. I am interpreting them like a "Apocrypha" for Gojuryu in Nahate category. We shouldl more and more critically research them from a history and a kinematic theory. 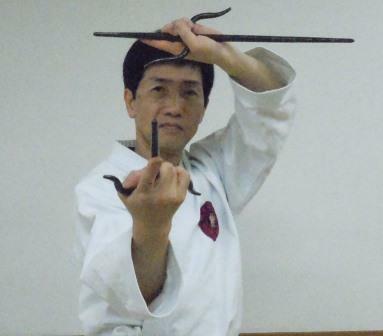 "Bou " is a basis of all Ryukyu Kobudo:Karate weapon. "Syusi no kon" is a basis of all Bou jutsu. "Kon" is another name of "Bou", and the meaning of stick. The length is 180 generally cm, and the material is wicks of the oak or the willow. It can be said that it is common sense of Karate-ka to learn Kata of some Bou jutsu. "Syu-shi" means "Mr.Syu". Because "Kon" is an alias of "Bou", this Kata's name means "Bou of Mr.Syu". 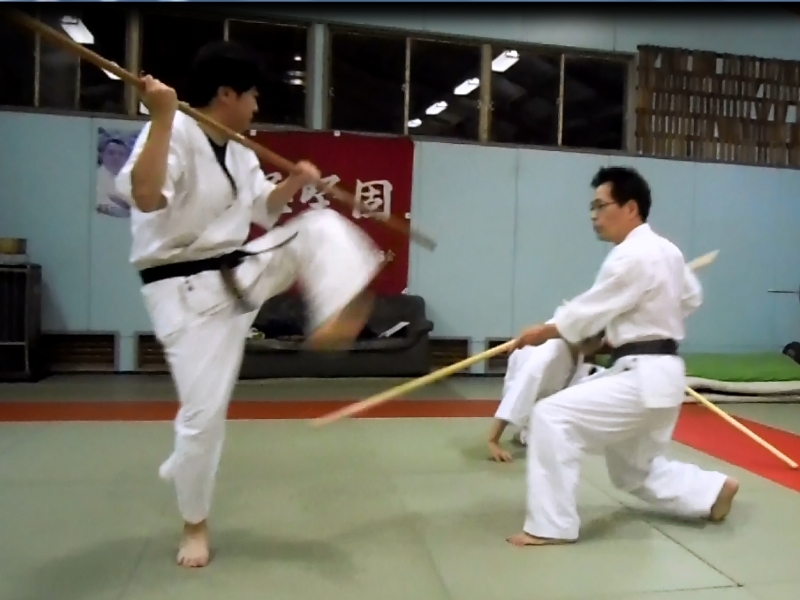 It is said that Tonfa is the weapon which evolved from the steering wheel of the stone mill. "Hamahiga no Tonfa" (Tonfa in Hamahiga island) assumes the fight with four enemies of the all around.